First off, let me say I think it’s fabulous that you’re publishing a memoir about your son. Even though it’s a sad topic and, given a choice, you probably would have given up your writing life altogether for Silvan to be healthy, I’m glad this book is in the world. 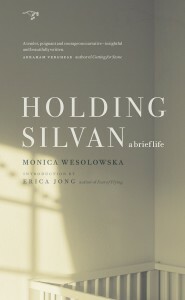 Holding Silvan is a great title, by the way. Thanks. I needed to hear that. In fact, this is something I literally repeat inside my head: “It‘s good that I’m publishing this book.” Otherwise, I feel nothing but anxiety. Anxiety? I didn’t know you suffered from that. I didn’t either. But it must be pretty common before the publication of any book, let alone a first book like this. Look, I’d struggled as a fiction writer for over 20 years when the book sold. So I’d achieved my “goal.” And part of the anxiety was simply that it didn’t feel the way I’d pictured it. It’s like reunions with loved ones. I had a boyfriend once whom I didn’t see for many months, and I used to picture our reunion in soft focus — I think there was a commercial in my youth for some feminine hygiene product that involved lovers running through a golden field – and I pictured our reunion like that. But in fact, we bickered right away. So you bickered with your publisher? No, that’s not what I mean. It’s silly, but I probably pictured some sort of transformation from my usual self. Instead, I was still having to wake up too early in the morning to take my kids to school, still feeling too tired at night to talk satisfactorily with my husband, still dealing with an office that’s freezing cold in the morning, with piles of things that have not moved in years, with the elusiveness of words. At the same time, my private act of writing felt intruded on. Copyediting, author photo, book summary, title—all that came with the pressure of feeling public. 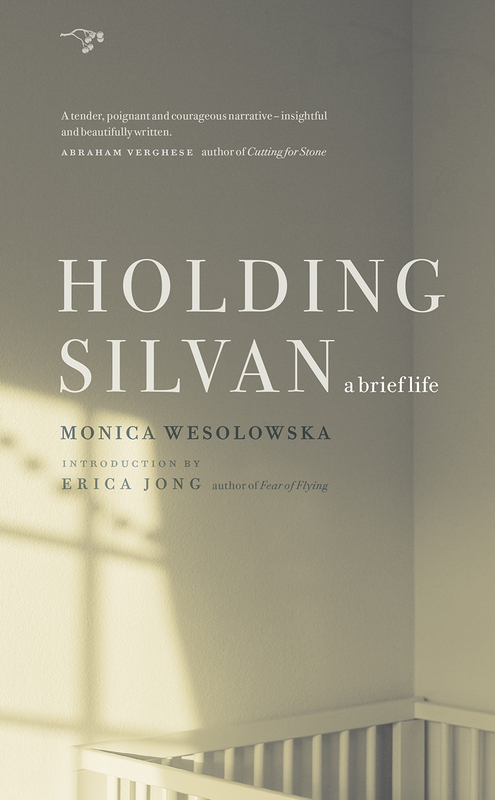 Speaking of titles, did I mention that Holding Silvan seems perfect? With you quoting yourself, I’m tempted to go all ironic and meta on you, but that doesn’t feel right for this book which has such a straightforward voice. Did you have to work hard on that voice? It’s such a calming voice that it pulls us right through. Thanks. I feel lucky that such a voice arrived so easily. Once I started writing this book (I wasn’t ready until eight years after he died), it rushed out in about three months. My writing group was extremely helpful . Because it came out so whole, they went straight to line edits. And they picked out every sentence in which I sounded arrogant or bitter or sappy. That’s not to say they made me “fake.” They just forced me to examine my feelings. There was one sentence absolutely everyone told me to take out. It was in the scene where he dies. I just couldn’t stay with the writing of it. And I’d thrown in a line of totally black humor. Black humor really saved my husband and me during that time. But it really wasn’t necessary in the deathbed scene anymore. Certainly not for the reader. Without that line, that scene moves me every time. Now that you’re bringing up an actual “deathbed” scene, I’m wondering if we’ve been avoiding getting into the sad and potentially controversial topic of the book. Maybe you are. I mean, how do you bring such a topic up let alone convince someone to read a whole book about it? But ever since Silvan died, I’ve had to deal with this. I’m not comfortable pretending he didn’t exist. But it can be very awkward to tell someone at a party that your first baby died. And that you chose to let him die. Now that my first book is about him, it comes up even more often. Some people literally hold up their hands as if to create a wall between themselves and this information. Some people nod sympathetically and change the subject. But the majority, to my surprise, react with a sort of hunger to hear about living through one of our greatest fears. So is being read also part of your anxiety? Well, sure. I’ve had beautiful reactions from my first readers. People have said I made a “brave” choice. And that Silvan couldn’t have had a better mother than me. That’s comforting. And many have said we need a book like this in the complicated age of modern medicine. On the other hand, I know some people will feel we made a selfish choice. Even if they read the book, they may not feel the depth of love in it that seems so apparent to those who agree with our choice. Ethics is a complicated thing. It’s rooted deeply in our communities and upbringing. When I first set out to write the book, I probably hoped to make our choice seem clearly right. But ultimately it’s done what any good book does. It’s opened up questions. The most I can hope for is that it opens up the possibility for people to ask themselves what they would do in such a circumstance and not to be afraid to imagine death. And do you worry about your children’s reactions? They know I’ve written a book, and that Silvan was their older brother who lived and died, and we’ve explained that something went wrong while he was being born that made him too sick to keep living. We’re trying to give only as much information as is appropriate for their age. But I did have one terrible moment when my eight-year-old, who is a budding photographer, was organizing his photographs on our computer and he stumbled across a series of photos of Silvan at the very end. To my horror, though I’ve always tried to talk calmly about Silvan, my voice went high as I said frantically, “Scroll down, scroll down.” Once the pictures were off the screen, we sat for a moment in silence, then he said, “Was that Silvan?” He’d seen pictures of Silvan, but only in the days rights after birth. I explained that this was Silvan at the very end. We sat for a moment again in silence. Then he said, “That’s really sad.” I was really moved. This son of mine doesn’t express emotion very often. Sad, I think, is a tremendous word. Any other words you’d like to add? Joy. Both are in the book. You can’t really avoid sadness in this life, but if you’re lucky, you get joy too. Well it’s been a pleasure interviewing you. Did I make you anxious? A little, but at least I know I’m not alone. MONICA WESOLOWSKA has published both fiction and memoir in numerous literary journals and anthologies including Best New American Voices 2000 , The Carolina Quarterly , Quarter After Eight , Literary Mama , and the New York Times Bestseller My Little Red Book . 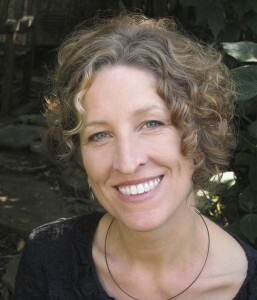 A graduate of Reed College and a recipient of a fellowship from the Fine Arts Works Center in Provincetown, she has taught writing at UC Berkeley Extension for a decade. She lives with her family in Berkeley, California.